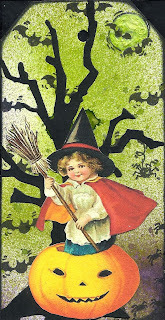 Love your witchy tag, Anne -- and always glad to see you in my blog challenges! Nice! I love the ghoulish green background you've used. Something Wicked Comes your Way.